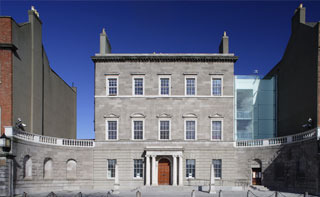 The Hugh Lane's role as a leading museum of modern and contemporary art was enhanced with the acquisition of the entire contents of Francis Bacon's Studio, donated by Bacon's sole heir John Edwards. The studio, located at 7 Reece Mews, London, was relocated to Dublin in 1998 and opened to the public on 23 May 2001. It provides invaluable insight into the artist's life, inspirations, unusual techniques and working methods. Never before has an artist's studio been so thoroughly catalogued and reconstructed. The Gallery's wide range of activities both within and outside the Gallery includes an annual series of lectures by artists, philosophers and art historians. A lively education and outreach programme has forged strong links with local school and community groups with activities ranging from Kids Club workshops, adult education courses and the ever-popular Sunday lecture series.